I know what you mean, and the debate rages in fundamentalist circles, but the question itself is worded poorly. We clearly have no problem with science being preiminent when it deals with things like photosynthesis, or the nature of schist. 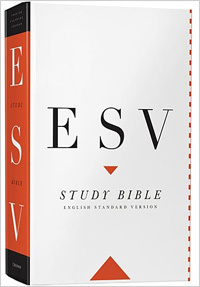 It simply is not germane to the Bible’s purpose. Nor should we have a problem discarding science when it comes to ethics and the nature of God. Science can’t answer ‘why” something is right or wrong. It is positioned only to tell us what is. Even psuedo-sciences like sociology can’t tell us why a person believes something (they can give influences, but WHY is a question that is ultimately beyond observation when it comes to ethical pre-eminence) only that they do. Therefore each has its purview and we can’t create hard and fast rules about where those lines are drawn. As a pastor I, like the Spurgeon quote you had some weeks ago, am comfortable with the Bible not answering every question, although that seems to give some conservatives the willies. Sorry for hi-jacking your blog. Thanks for your comment. I brought up the question “Does the Bible take priority over science, or are science and scripture complementary?” because I run into many who take certain interpretations of scripture and then twist science to make it fit. I do believe that science and scripture are complementary, but I don’t split them into two completely separate realms. I hope to write more about that soon. Hmm, In that both are ultimately concerned with truth I agree and therefore there is overlap. But overlap does not mean that they are the same. Complementarity implies that each has its area of expertise. But there a areas that it angers me that science is involved in, and there are areas that fundamentalists anger me about scriptures pre-eminence. There is a reason that the bible is the size it is. It was not intended to give all answers. However, when it gives us a clear answer, eg. Jesus said, “I am the way the truth and the life, no one comes to the father but through me” (john 14:6) to decide that it doesn’t mean what it clearly affirms simply because it is distasteful to my personal values is on the level of saying prevailing theories of Plate Tectonics can’t be true because Pangea is not mentioned in the pre-Noahic portions of the bible. They do have thier areas of expertise in which there is NO overlap, and therefore they are seperate realms that speak into each other. I agree that overlap does not mean that they are the same, and that complementarity implies that each has its area of expertise. I would advocate a partial overlap between science and scripture in this sense: they do address some of the same questions. For example, both science and scripture address the question of the origin of the universe. There are some questions regarding the origin of the universe that science cannot address, such as “Why is there a universe at all, rather than nothing?” There are questions that scripture doesn’t address, like “How did the universe come to have heavy elements?” But both have something to say about the origin of the universe. That is the overlap I am talking about. 1. The error that comes from completely separating the two is that science becomes “truth” and scripture is kicked upstairs (to use Francis Schaeffer’s terminology) into the realm of the subjective. I’m planning on writing more about this soon. 2. The error that comes from superimposing the two is the error that many “fundamentalists” make. This is the error of young-Earth creationism or any other system that forces the world to fit scripture in unnatural ways (e.g. Hal Lindsey forcing current events to fit his model of end times prophecies). Don’t take me wrong. I believe firmly in the truth of the Bible. I see no reason whatsoever to abandon that. I just don’t want to make it say things that it doesn’t say. I’m new here and have not dug deeply into your older posts, but I would gather that you agree that science renders many claims of the bible as “untrue” as represented in scripture— e.g. the six days of creation, Adam and Eve, Joshua’s long day, Noah’s earth-encircling, mountain-covering flood. Of what value then, and justification, is it to state unequivocally that you “believe firmly in the the truth of the Bible”? It seems to me that these events, as depicted in the Bible, are simply wrong, the products of someone’s imagination or erroneous re-tellings of stories. I think that in your opening question you should add a third “, viz, “or does science take priority over over the bible”, at least insofar as science is able to address certain biblical claims. “All truth is God’s truth” says nothing about what truth actually is. It’s something like regarding “God did it” as the ultimate theory that explains everything and therefore explains nothing. Science does it better. Thanks for your comment. I’ll give my best shot to answer your questions. I cannot, in a brief space, explain all the reasons I believe Christianity to be true, or why I believe that faith is not irrational. Overall, I hold that Christianity presents a consistent world view that gives the best explanation for the existence of the universe, of life, and of human nature. At a fundamental level, I am a theist because the other options, such as atheism, are highly irrational. An atheist, for example, has to believe either that the universe formed itself, or that it has existed forever. Both of these options are untenable, and positing a multiverse that is beyond the universe only puts the issue back a step. The only reasonable solution is that Something outside the universe created it. (This is part of the cosmological argument for the existence of God, which I’ve written about elsewhere). I don’t believe in a literal six consecutive 24-hour day creation that occured only 6000 years ago, but this doesn’t mean I don’t believe the Bible. Not only do I see young-Earth creationism as geologically unworkable, I see it as Biblically unnecessary. There is plenty of internal evidence in the text of the opening chapters of Genesis that indicates that God did not intend this to be used for determining the age of the universe. One option that is promoted by leading Evangelical Old Testament scholars is that each day represents an unspecified period of time. This is called the day-age interpretation. It may be right. I don’t know. My point is that I can hold to the accuracy of Scriptures without being a young-Earth creationist. In regards to the Flood, it only had to be “world wide” or universal in the sense that the descendants of Adam were affected. There are other instances in the Bible, and in our common usage of English, where “the whole world” means “everybody.” Where and when was the Flood recorded in Genesis 6-8? Was it related to the filling of the Black Sea basin as rising sea levels spilled through the Bosporus? I don’t know. I don’t worry about it two much. I don’t see the Bible as a book filled with things that are “simply wrong” as you stated it. Most lists of Bible “contradictions” that circulate on the internet aren’t a whole lot more credible, in my mind, than the urgent emails I get regarding unknown relatives who died in plane crashes in Burkina Faso. You are correct in saying that “All truth is God’s truth” doesn’t define truth, but a definition for truth isn’t what I was attempting to do. If truth is what is really real, then it is really real whether it was determined by science or by some other method. Science is one means of determining truth (and it is very good at determining truth in many areas). But if God is real (and I think he is), and if he reveals himself through Scriptures (and I think he has), then surely he is able to reveal himself in a true way. (I think I could have done this paragraph better, but it is midnight). It is incorrect to say an atheist HAS to believe one of the two options you present. S/he can believe either or neither, or more likely simply admit to not knowing. In your linked piece (cosmological argument), you present God (#3) as the winner by default after rejecting the other three options. This is philosophically untenable because nothing can be proven or even convincingly argued simply by default. Creationists tried to do this in the 70s and 80s by presenting Earth’s life as the product of either evolution or special creation, then attacking evolution and claiming victory for creation science. The U.S. Supreme Court didn’t buy it, and neither can the existence of God be similarly argued by default. Regarding the “truth” of Scriptures— surely truth must imply some reasonable standard of accuracy, wouldn’t you agree? Otherwise, anything can be interpreted however one wishes to see it, which makes a mockery of the whole process. Given this, you surely are aware of the many contradictions in the bible, both Old and New Testaments. These are well documented and widely recognized by biblical scholars, not just lists floating around the internet world. For example, the two accounts of creation (Genesis 1 and 2), the conflicting accounts of Christ’s death on the cross and shortly thereafter, the death of Judas and the fate of his blood money, the conflicting values given to sizes of armies, amounts of money etc. These are not in the front of my head at this moment, but all are verifiable by simply reading the verses of Scripture themselves. Moreover, such contrdictions should not be surprising given that several centuries transpired during the writing of the various texts. The New Testament was written some two centuries after the fact, and none of the writers ever claimed to have witnessed the events being described Oral traditions and re-tellings had to have been part of the collected works we now call the bible. Then there are the various translations, any of which may have made errors of interpretation of an ancient language. Compounding this are the stories which had to have been mistaken, Joshua’s long day for example. People of that time thought the sun went around the earth, so the event is described as the sun stopping in the sky to make the day longer. However, we now know that days and nights are caused by earth rotation, so if the day actually lengthened, it could only mean the earth stopped rotating. Ask any physicist what would happen if the earth suddenly stopped rotating. A miracle? OK maybe, but that ends the discussion. Anything then becomes possible. Science is shelved. But…. isn’t it reasonable to think that Joshua’s long day didn’t really happen, that somebody made it up? Mind you, I think the bible contains a great deal of wisdom and reasonably correct accounts of history. I think it also contains a lot of made-up stuff, not just parables and metaphors for communication great “truths” to ignorant people, but also accounts of things that just never happened. If I am even remotely right about this, is it still reasonable to think that the bible is God’s vehicle for revealing himself in a “true way”? BTW, I’m also a geologist. 1. In regards to the cosmological argument, you are correct in saying that an atheist doesn’t have to choose between the options I gave; that he or she can just claim ignorance. I also claim ignorance on certain matters, and that is often the most honest path. The creationists of the 70s and 80s (Louisiana and Arkansas) were wrong in part because they presented their case as an either/or type of argument. Either their version of creation was correct, or evolution was correct. 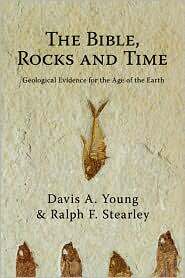 It is still often portrayed that way in the literature, seminars, and curricula produced by young-Earth creationists. I think they are quite simply wrong on this; there are more than two options. In fact, there is a continuum of how scientists within the Christian community view origins. Within churches and Christian groups I have been a part of I have known young-Earth creationists, old-Earth anti-evolutionists, and theistic evolutionists who would say that evolution is the means of God’s creation. There are a number of variations on these. I have yet to find someone who has given any additional credible answers to the question of the origin of the universe. So I believe that the atheist is stuck with one of the first two answers, even if they don’t choose between them. 2. In regards to the truthfulness of Scriptures and Biblical contradictions, I can honestly say that there are really very few of these that I’m not sure what to do with. In my younger days, there were several what I will call “apparent contradictions” that severely tested my faith. By close examination of what the text actually says I was able to work through these to the point that I don’t get too concerned about the remaining “contradictions” that I don’t understand. I’ll just say that the remaining contradictions that I don’t have a reasonable answer for are few in number. –Two accounts of creation in Gen 1 & 2. This one has never bothered me, but I know it has bothered others. 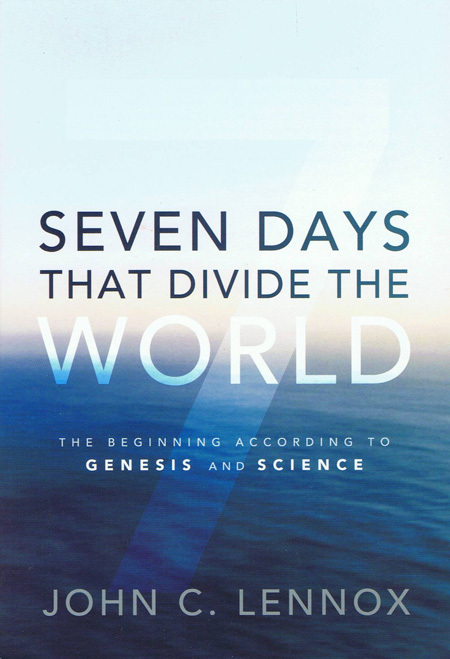 If one takes the literal six consecutive 24-hour day approach that the young-Earth creationists use, then there could be some contradictions. 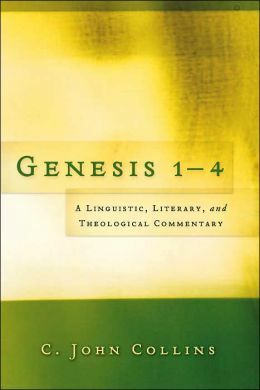 If one looks at Genesis 1 as thematic rather than chronological, or as longer periods of time, then I see no contradiction. Both of these perspectives are common among theologically conservative Biblical scholars. I’ve always looked at Genesis 2 as going back and taking a closer look at one of the main themes, which is the origin of humans. 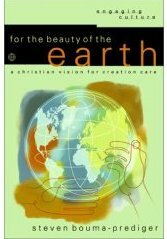 I’m willing to take some of it symbolically, such as the statement that God created Adam out of the dust of the Earth as a statement that we share “earthiness” with the rest of the creation; i.e. that we are made out of the same stuff. –Multiple accounts of Christ’s death. If you wanted to, you could extend this argument to the entirety of the four gospels, because they present differing orders of events throughout the life of Christ. But this is only a contradiction if we superimpose our cultural standards for historical documents on another culture; that of first century Jewish/Greek/Roman culture. The authors of the gospels often arranged their stories topically rather than chronologically. 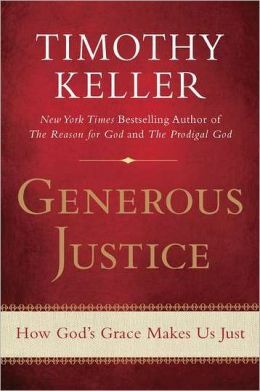 I think that takes care of most of the “contradictions” in the gospels, and it is not something I have struggles over. One thing to remember is that the authors of the gospels were not idiots. Matthew, for example, probably had a scroll with the gospel of Mark in his hands as he wrote his own version of Christ’s life, death, and resurrection. He probably saw no contradictions between what he wrote and what Mark wrote, even when the order of events differed. –The fate of Judas. I see multiple possibilities here. One is that Matthew and Luke (who wrote Acts) just give different details of the same story. Another is that there are some Greek or Aramaic idioms in use, and that when it refers to Judas’ guts spilling out, it was somehow idiomatic. A third possibility is that when Judas hung himself (Matthew) it wasn’t with a rope, but that he “hung” himself by impaling himself on a pole, which would explain the part about guts spilling out. –Numerical conflicts. For example, differences between Kings and Chronicles. I know that some of these have been worked out, for example differences in the length of reigns of the various kings. Almost all of these can be explained by considering that many of the kings had co-regencies; that the sons partially started to reign before the father died. I cannot explain all of these; some of them may be copying errors at some point. 3. The idea that the New Testament was written two centuries after the events doesn’t have nearly as much support even among liberal or non-Christian scholars as it once had. Conservative scholars would say that most of the NT was written before the destruction of Jerusalem in 70 AD. Even more liberal scholars are now conceding that much of the NT was written during the period when the apostles were still alive. Acts, for example, gives an accurate picture of the mid-first century without anachronisms that would have crept in if it were written in the second century or later. And Acts is part two of Luke, which implies that Luke was written before Acts. I don’t think that these are ad hoc answers. Many of them come from taking a close look at what the text of the Bible really says, and from an awareness of cultural differences between us and the ancient cultures that produced these texts. I certainly don’t have all the answers, but I have enough that I don’t lose faith over the things I cannot figure out. Thanks for your comment. I appreciate your thoughts and your desire to think through these issues. It is midnight once again, but I am enjoying the dialog. Ooo! Oh! Could you submit a question for me??? I’ve got one that I’ve mulled over a few times, but haven’t come to a completely satisfactory conclusion. The Noahic flood, if it were regional, wouldn’t have required the Ark to be built to carry 2 of every creature. If it were worldwide, then no problems, obviously. So, how would a regional flood, affecting primarily the Black Sea/Turkey areas be necessitating two of every animal to be on the Ark, even if “every” only refers to every animal in that area? After the Flood, it seems that animals would have very quickly spread back into the recently flooded area, negating the need to preserve so many animals. I can see God wanting Noah to emerge with plenty of “farm animals”, but every type of animal? It’s one of those little questions that has niggled the back of my mind for a while, but most people I know are definitely global-flood. I don’t have access to knowledgeable localized-flood sources. As a matter of fact I would go so far as to say that if and when science tells us and proofs a fact then it has to be like that. If science says the univers is 14 billion years old and filled with galaxies then that’s the way it is. You made me read the genesis a few times. Something I didn’t do in years, I didn’t even look at my bible. With everything going through my mind I cannot come to another conclusion that the genesis is not a literal description of the events of creation. It may descibe the events that took place, actually I am pretty sure of it, but they neither are described in perfect chronological order nor in matters of the passage of real time. Actually it reminds me a lot of the summary I am writing these days for a mapping project. I am summarising the important and memorable events of history. I am not even placing everything in perfect chronological order. Events are described where and when they matter and how they affect us. Isn’t that what the bible is suppossed to be? To tell us something about what is really important, to use my layman language in terms of faith. As we all know science has not reached it’s end. Perhaps or very likely it never will. The univers is too big I assume. In the same line of thought how can our knowledge and understanding of the bible or God be perfect? It may be God’s words and it may be the true faith but it was written by people, copied by people, translated by people. We can be very sure it was just as often missunderstood by people. Christiany is not the easiest faith to follow. In comparison with other faiths the bible, in my own experience, usually does not give an easy answer to every question. God gave us by some mean or another a great intellect. We are not babies. God may well expect us to actually use that intellect, to think and conclude. People far too often forget the significance of what the word “to create” can mean. Creation does not end after a building has completed construction. It will keep affecting us with it’s presence. We should not assume that everything has been laid out for us perfectly and neither should we assume that God thinks like us, at least not all the time. I cannot lose the feeling that many fanatical creationists do not notice how they are diminishing the greatness of God and creation by telling us he made everything like it is today. God created everything – but let not assume “everything” means the same to god as it does to us today. His intentions likely go far beyond our imaginations, and certainly his abilities. To come to my conclusion. The discrepancy between faith and science, in my conviction, rests only in our imperfect understanding of both nature as a whole (the univers with all in it) and faith/bible/God. There is a lot of very good advise in the bible, we have an intellect to seek and use it, and chose the right one for every situation. I hope what I wrote makes any sense. The first time I read this statement was in Frank Gaebelein’s book, “The Pattern of God’s Truth: Problems of Integration in Christian Education.” It was a mantra in the Christian school boom of the seventies and early eighties. –Therefore science must conform to our interpretation of the Bible in order to be true. That is not what I’m saying at all (and I’m not saying that you were accusing me of saying this). Thanks for your detailed reply, and the “extra mile” for Joshua’s long day. The response from ACG looked a little ad hoc and convenient, but I’ll take it as affirmation that there remains a problem of either fact or interpretation. It’s late, but I want to briefly return to your three options regarding the universe. In my conception of the universe there are three defining components: space, time, and “stuff” (matter and energy). Only the stuff can be reasonably visualized as being finite. Space and time are infinite; there is no conceivable beginning or end of time and no geometric limits to space because beyond any defined volume lies more space. So the key defining element is stuff—- it might exist within a finite volume of space and assigned the term “universe”, or the universe could be defined as all the space that surrounds that finite volume of mass and energy and is therefore both infinite and eternal. Alternatively, presuming that space is indeed infinite (I cannot conceive of anything else), there is no philosophical reason to preclude the possibility that other volumes of stuff exist throughout the infinite space and therefore is also infinite and possibly eternal. In such a conception, the origin of our own “universe” (= our local bundle of stuff) could indeed have been created by itself as some intrinsic process of the larger infinite universe. In such a conception of an infinite universe, there is no “outside”, nor does God become necessary a priori. So from this, I’m inclined to think that both 1 and 2 are right, depending on definitions, and 3 is mostly likely to be wrong. Finally (this is taking longer than I thought), we can also fall back on the traditional argument that ex nihilo poses no larger a philosophical problem than does the existence of an eternal omnipotent God. I think you’re just testing to see if I’m still awake. I am. It is in line with what most cosmologists say for me to say that neither space nor time are infinite. As far as space goes, most cosmologists would argue that the universe is finite but has no outer boundary. This seems odd to us, but that is because we think of space as being measurable with a rectangular x,y,z coordinate system, whereas in reality space can be described as being curved. Of course, this is outside of my expertise. I think this is how it is described in Hawking’s A Brief History of Time. Likewise, in most modern versions of cosmology, time is finite as well. It had a beginning at the big bang. It is part of the universe just as much as space, matter, and energy; not something outside of it. If our universe was spawned somehow by a larger multiverse, then we’ve just put the questions back one step and haven’t solved anything. Where did the multiverse come from? Either it has existed forever, it created itself, or it was created by God. I don’t claim to have all the answers here. 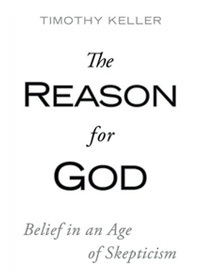 The question that you imply “Where did God come from?” is a good one. I don’t know; I’m sure someone else could attempt to answer that one, but whatever their answer is would probably be debateable. Something has to exist forever. I cannot conceive that at one time, there was absolutely nothing—no energy, no laws, no time, no God—and that suddenly the universe, or at least the laws behind the universe, came into existence. But an eternal universe seems to violate the 2nd law of thermodynamics. I hope that at the least I have demonstrated that God is a possible answer to why the universe exists. I’d go further, of course, and say that I think God is the best answer, even for a scientist. Thanks for your comments. I’ll try to respond soon. I do believe in a local flood rather than a global flood. I feel this is entirely consistent with the description in Genesis 6-8, with the flood being universal in terms of the descendants of Adam, and global from Noah’s perspective of seeing water from horizon to horizon. According to the text of Genesis, the Ark didn’t have to land on the 5137 m (16854 ft) summit of Mt. Ararat, but only in the very large Ararat region, which would work whether the flood was in the plains of Mesopotamia or in the Black Sea basin. I don’t know all the reasons why a local flood would require an Ark. One important reason could be the symbolism. Merely fleeing from God’s judgment (like Lot fleeing from Sodom) could make it look like Noah was saving himself, whereas taking the time to build a large boat on dry land in obedience to God’s command made it clear that it is God who saves. The New Testament uses the flood as a picture of baptism (1 Peter 3:21); perhaps this is one of the main reasons for God using the Ark for salvation. I haven’t given this as much thought as I need to. I’ll let you know if I find out anything different from the Affiliation of Christian Geologists. (You can always submit a question directly to ACG’s Ask a Geologist site. It might take a little while, but they will get back to you). Thanks for your comment. I share some of your feelings; I have run into people who look at me as some sort of semi-pagan for being a geologist. This would be true in other languages as well, not just English. I agree that even once a good translation is made, we can still misunderstand the meaning of the text. A common statement of this is that the Bible is very clear on the essentials of the faith, such as those contained in the Nicene Creed, but less clear on secondary issues. I agree. The young-Earth creationists are well-meaning, but they take a very narrow view of both Scripture and the creation. This does not bring glory to the Creator in the way that they intend. Another effect is driving people—especially scientists—away from faith in Christ. Thanks again for your comment. You said that you have seriously questioned your faith. I’m sure that there could be many reasons for this. My hope is that you will be able to work through these, and see Christ in the midst of whatever suffering (Christ knows all about suffering) or doubts you have had. Thanks for your reply Geochristian! In Germany we use a unified translation that is derived from the hebrew and aramaic versions. I assume it is rather correct. I am not familiar with the King James Version nor other, modern english translations. Also I believe Christ would very well understand my questioning. The road is not always easy to see among all the fog and suffering.